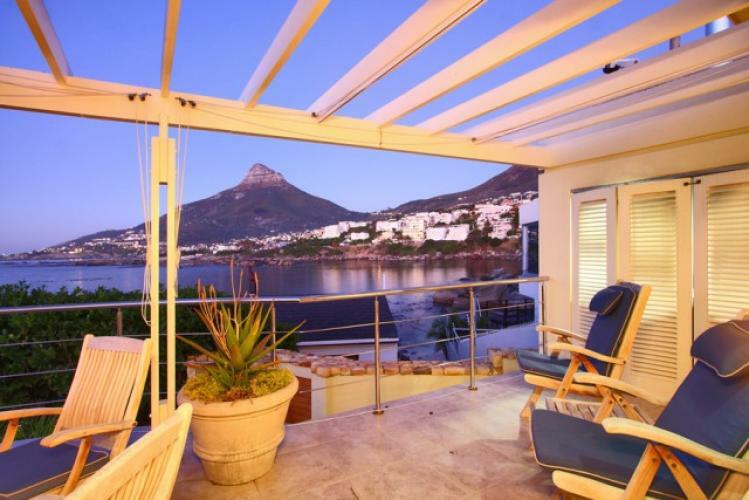 Soak up the sights and sounds of stunning Cape Town in one of these self-catering 4 Bedroom Villa Rentals in Camps Bay, for an unforgettable family holiday. Cape Town is a superb holiday destination as this splendid city features so many attractions suitable for visitors of all ages. Villas Camps Bay has a range of stunning holiday rentals that are family-friendly and best suited to spending time with your loved ones. Camps Bay is a sought-after upmarket suburb that’s in a prime position as it’s nestled between Table Mountain and the 12 Apostles and overlooks some of the world’s most beautiful beaches. Located just a short drive away from the city centre, the V & A Waterfront and a host of other exciting attractions and opportunities for adventure, this popular location is a great base for a Cape Town family holiday. The following 4 bedroom villa rentals boast all the holiday amenities you need and are equipped to welcome children of all ages. We’ve selected some of the top 4 bedroom villa rentals in Camps Bay best suited to families and showcased them here to give you a taste of what’s available. Staying in a Camps Bay holiday home will put you and your family in close proximity to the sparkling blue waters and pristine stretches of sand of the city’s favourite Blue flag beaches. Shell Cottage is located a mere 200m stroll from Camps Bay beachfront and this 4 bedroom villa rental is one of the suburb’s original homes that’s been completely revamped to make the most of its superb surroundings. Despite being situated right in the middle of one of the most vibrant suburbs, Shell Cottage is an oasis of calm and its beach-style character and large lush garden is perfect for any family wanting to enjoy their time together in peaceful and tranquil surroundings. This gorgeous holiday home offers all the modern amenities a traveller needs and will appeal to all ages. The stunning pool and secure verdant garden are wonderful for kids and thanks to its well-appointed location you can enjoy beach style living at its best. Beta Villa is located on Bakoven’s beachfront and is just a few steps away from the soft white sand and gentle rock-lined coves that this area is famous for. 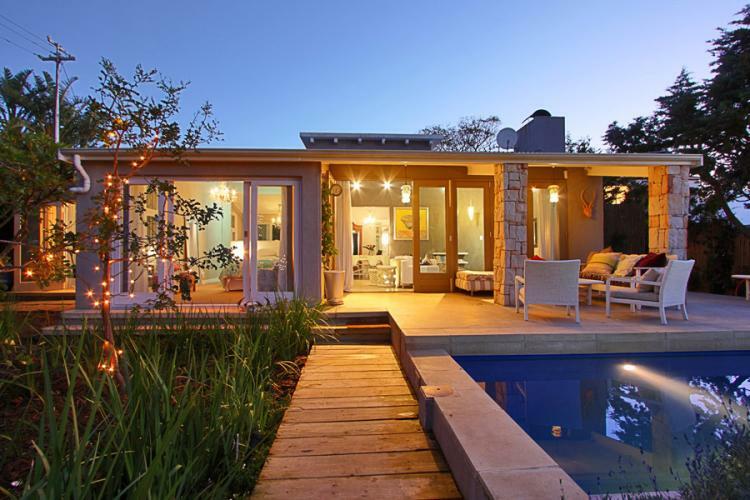 Within walking distance of Camps Bay’s beaches and restaurants, this 4 Bedroom villa rental is a great family getaway. Young children can play happily on the beaches nearby or in the communal park at the end of the street and the balcony is equipped with a built-in braai (bbq) that’s best suited to family entertaining. 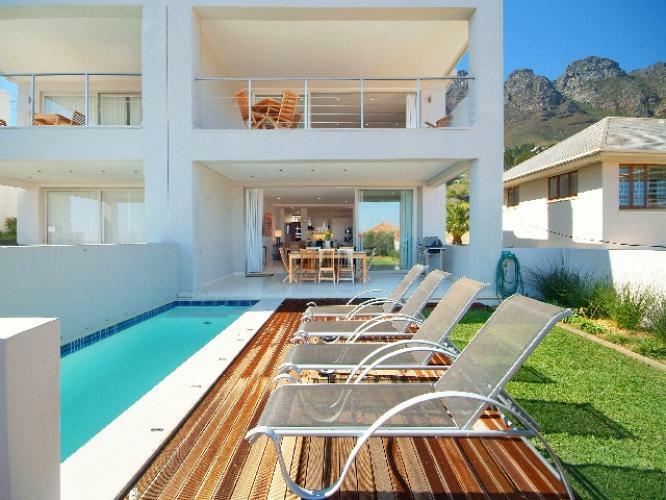 This 4 bedroom beach-style house has incredible sea views and is only a 10 minute drive from the heart of Cape Town. You can sit back and unwind whilst enjoying the sea and mountain views or you and your brood can explore the local museums, visit the Two Ocean aquarium or take a tour of the Peninsula on the Hop On Hop Off busses. If you have a family with teenagers then a Camps Bay villa like Cape Blue will offer plenty of opportunity for everyone to relax and enjoy themselves. This stunning contemporary holiday home features immaculate views of the mountains and seascapes and is within walking distance of Camps Bay and Clifton’s finest beaches. Its close proximity to the many outstanding restaurants and shops that line the beachfront allow you and your family to easily enjoy all that’s available at your own pace. The generous proportions of this 4 bedroom villa rental ensures that you can really make yourself at home, as each bedroom is en-suite, affording everyone their own personal space. High speed wireless internet and a state-of-the-art home entertainment system are the cherry on top of this designer holiday home. When you take your family on holiday you’ll want to spend time together and Blinkwater Villa offers fantastic accommodation for a Cape Town getaway. This luxury 4 bedroom villa rental features a glorious open plan living area that leads out onto a patio that’s ideally suited to al fresco dining. You and your family can indulge in a decadent breakfast overlooking the ocean or enjoy bonding over an evening meal whilst watching the sun set. 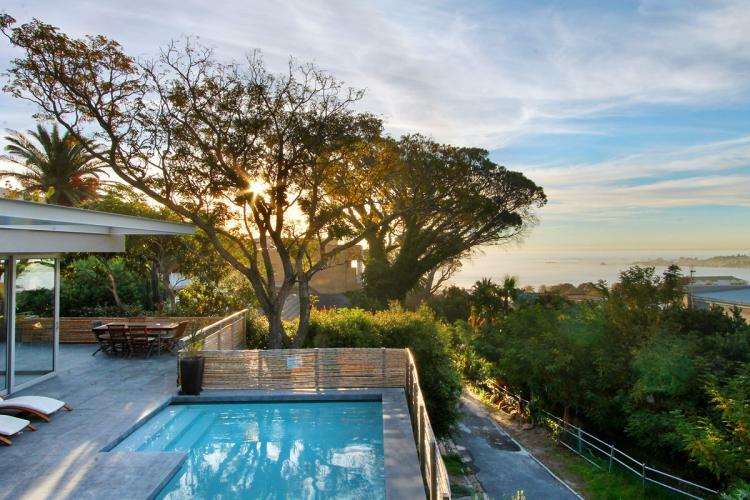 With all rooms leading outdoors, the views are simply astounding and you can enjoy the Mother City’s natural beauty from the comfort of your own private deck or whilst reclining in the sea-facing swimming pool. This luxurious private villa will set the scene for many special family moments and will create a beautiful backdrop for memories that will last a lifetime. Whether you have toddlers or teens or want to take Grand-Ma on holiday with you, Villas in Camps Bay have a superb selection of holiday homes designed to suit all families’ tastes and preferences. Book a 4 bedroom villa rental with them and enjoy the ultimate getaway with your brood.